For children age 5 and up, a great way to build swimming skills, make friendships, and build character. Join our inspiring coaching team while they focus on technique and building skills. Children joining green team need to be able to swim a length of the pool freestyle and backstroke. Determination – working to accomplish individual and team goals at the right time, regardless of the opposition. Quality – demonstrating daily practice and competition excellence in performance, self awareness and being coachable. This involves listening well and focusing on the task at hand. Endurance – the strength to push through and deal with stress and do my best – not “going through the motions”. Respect – SELF – Doing my best at all times; TEAMMATES – Keeping my focus so my teammate can keep theirs; COACHES – Listening well and putting what they say into practice. 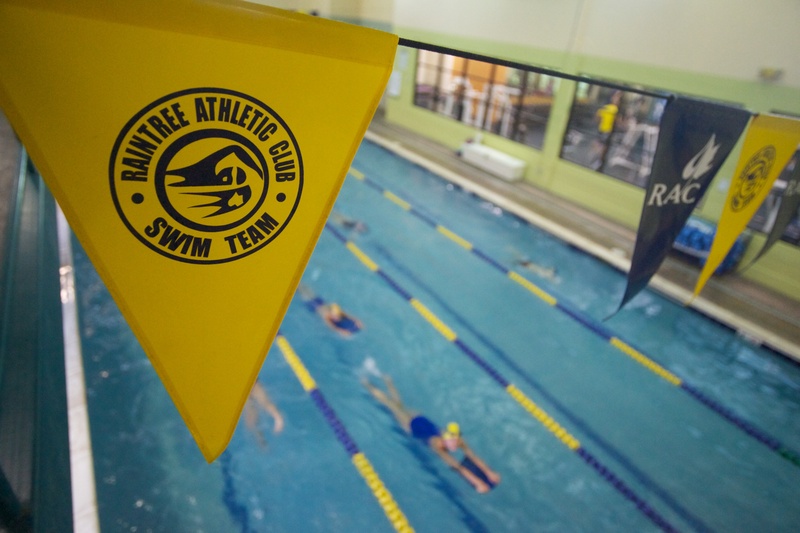 Requirements: Children need to be able to swim a length of the pool freestyle & backstroke as a pre-requisite to joining swim team. Season runs September 10 – April 26. -Registration for the 2018-2019 season starts August 1st and runs continuously after that. There are a limited number of spots available for each team on each day. We will run a waitlist for all days and groups when necessary. 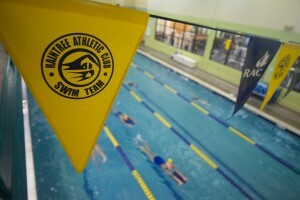 Swim Team is run month to month. If you are stopping at the end of the month please email Coach Nick at nicka@raintreeathleticclub.com by the 25th, those who are continuing do not need to do anything. Get geared up for summer swim team! Each week our coaches will focus on a specific stroke and turns to get summer club swimmers tuned up for the fast summer season. Questions? Email Coach Nick at nicka@raintreeathleticclub.com or visit the front desk to register.